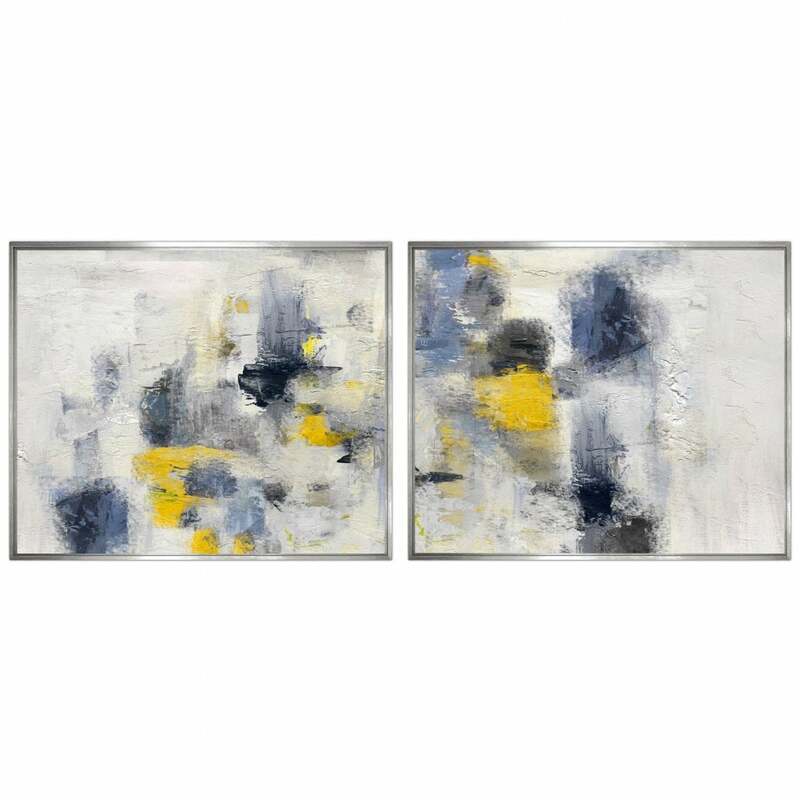 Dusty blue, dark navy and mustard yellow are hand-painted on stretched canvas to create this abstract design. Cramen by Quintessa presents expert craftsmanship and artistic skill. This textured piece can be shown alone or in a set of 2 to create visual impact and interest in a contemporary home. The painterly strokes resemble a quiet city at night with bright lights and hazy midnight air. Pair with mid-century modern pieces and metallic accents for a fresh take on luxe Skandi style. Mounted in an "L" shaped frame, make an enquiry for more information.